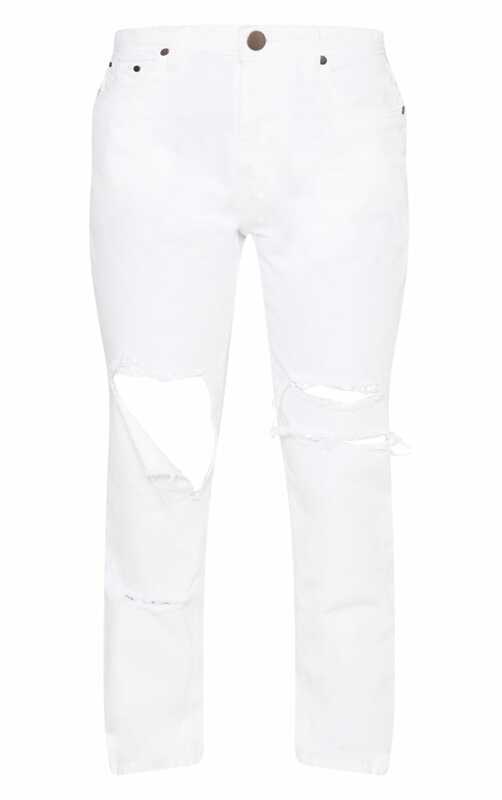 White jeans are essential for the summer season girl. 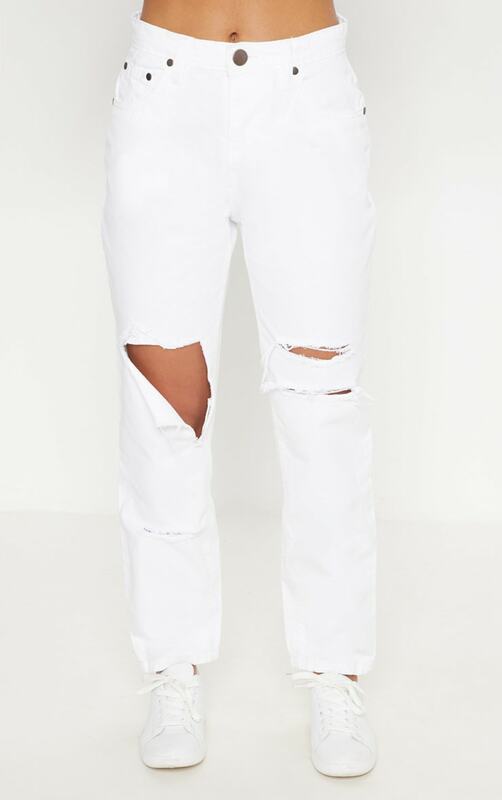 Featuring a white denim material with a ripped distressed detail and a button and zip fastening. 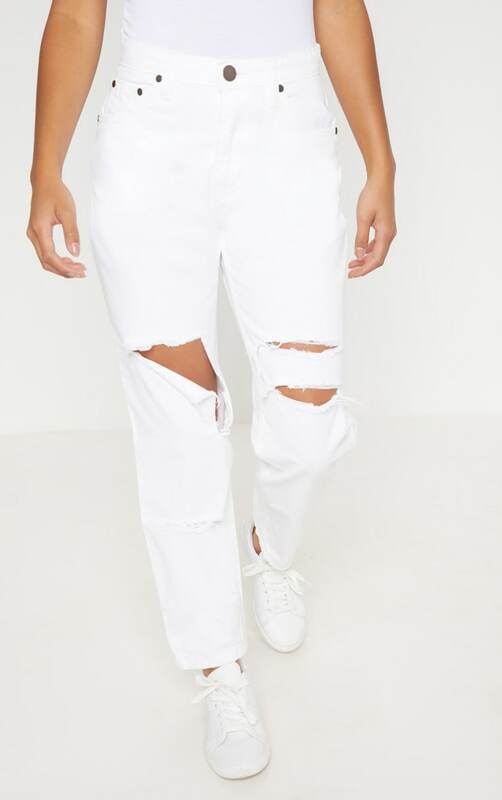 Style these jeans with a tee and fresh kicks for an off-duty look we are loving.